The Organization is practically Death Angel minus the singer Mark Osegueda, in which the guitarist Rob Cavestany took over the duty of lead vocals and drummer Andy Galeon backing vocals and some lead vocals. 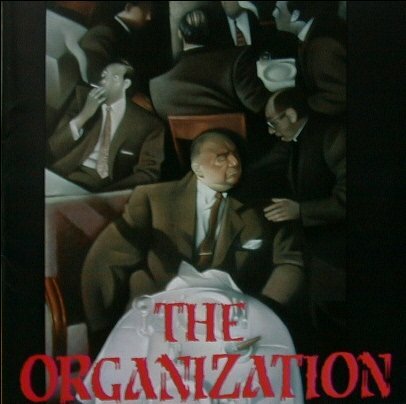 They released two albums under this name: The Organization and Savor the Flavor, the former being much close to Death Angel's last album "Act III" before this reformation. Later on they changed their name to "Swarm" and released another 2 albums: Devour (EP) and Beyond the End. It should be mentioned that the music got softened with each album until Death Angel reformed with the original singer.